Here is a handy guide written by Roger 99 that shows us how to create old-fashioned posters with that special vintage look, complete with aged paper feel. 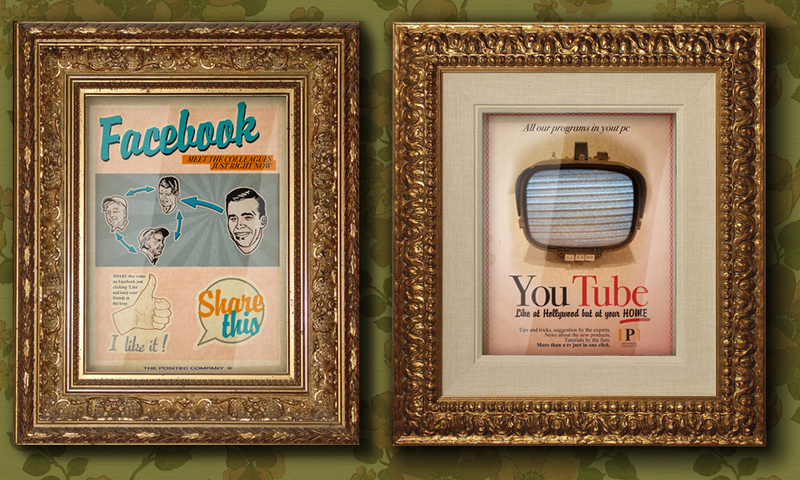 The tutorial explains in detail using a step-by-step guide how a advertisement for Facebook could have looked if it was available in the 1950s. There are also examples of YouTube, Twitter and Skype included.